Gather your materials. 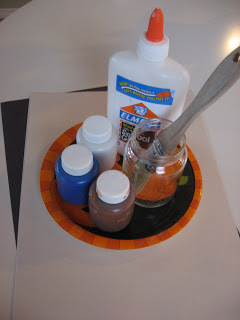 You will need a paper plate, some construction paper( 2 white, 1 black), glue , scissors, a paint brush, jar or cup and paint. 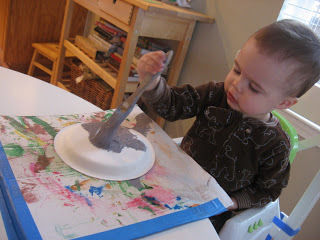 I like to make the gray paint by mixing different colors, your child will love this. 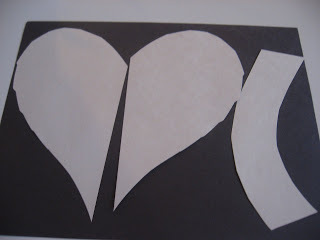 While your child is painting , cut out 2 ears and a trunk using the white construction paper. Paint the trunk and ears. 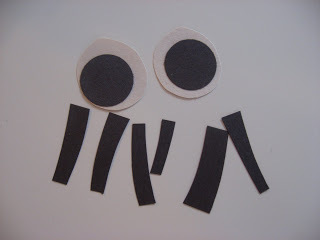 While your child is painting, cut out 2 black circles and 2 slightly larger white ones for eyes, and some black strips for the trunk. Glue the ears , trunk, strips and eyes on! 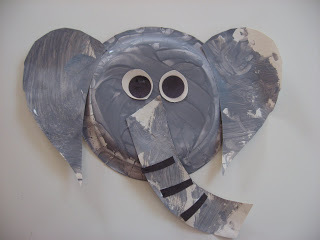 * To make this elephant into a mask, you can cut eye holes and attach ribbons on either side or a stick to the bottom ! 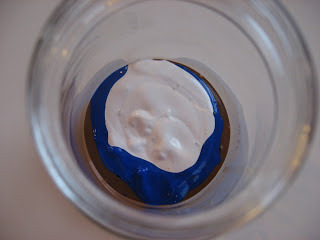 Note about crafts: As a teacher I love to do open ended art projects that provide a wonderful creative experience for children so as you can imagine all these crafts I have done have gone against some of my teaching instincts. 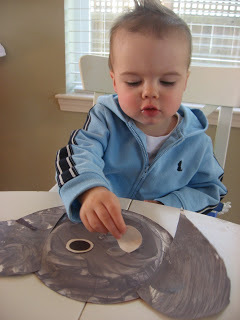 However when you are working one on one with a child you have so many opportunities to follow their lead, and make even a structured craft like this elephant into something creative. 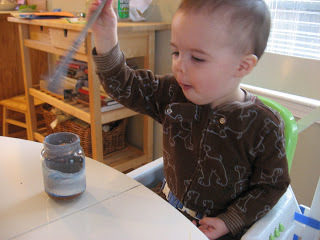 My son loved mixing the colors to make the gray paint, so after we were done we got a few more jars out and continued. 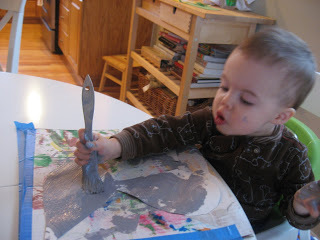 Watch carefully and you too will find ways to turn these crafts into a whole host of fun! he had such enormous fun that he called for ______ to come! they had such enormous fun that they called for ______ to come! * I like to use the child’s/ children’s names but if you are singing this alone with your child you can use their stuffed animals/ toys names or simply say ” another elephant ” instead! 123 to the Zoo Board Book by Eric Carle is fun counting book perfect for toddlers. Actually as I type this my toddler is reading it. There are no words, just pictures and numbers and that makes it perfect for toddlers who are just learning both numbers and animals because parents can read it slowly counting , naming the animals and making the animal sounds, or more quickly just counting! 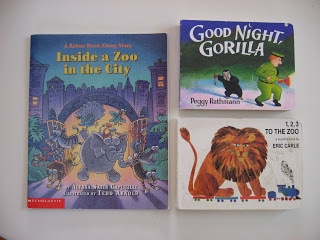 Inside a Zoo in the City (A Rebus Read-Along Story) by Alyssa Satin Capucilli is a rebus read along , so children who can’t read words yet can help read this with pictures put right into the text! The story is repetitive and builds with one animal and page at a time. 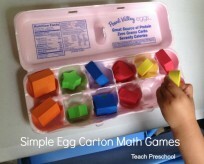 Preschoolers love these books and the repetitive nature of it makes it interactive and fun! Previous Post: Thanks! Merci! Gracias! I use crayola kid paint. I love that you used them for decorations! I did this, with my daughter, this week. She loved it! Thank you so much! 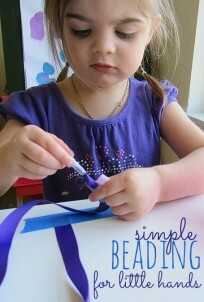 Thanks for letting me know – our goal is to give you crafts kids can really do and getting feedback is awesome!